An 11-day-long march along the villages of Kosi river in Bihar, under the banner of Lagan Mukti Kosi Samvaad Yatra, which concluded on the World Environment Day, June 5, highlighted how the natural flow of the river has been "obstructed" because of the embankments on both the sides the river, supposedly as a flood control measure, pointing towsrds how it has caused havoc to the farmers. Participated among others by Raman Magsaysay Awardee and renowned social activist Dr Sandeep Pandey, who flagged off the yatra, and environmentalist Ranjeev, apart from local social workers and civil society activists, the awareness campaign highlighted that there has been large-scale siltation over the farmers' land lying between the two embankments, making agriculture impossible. It was pointed out that land is cultivable only half the time of the year when there is no flood, adding, a large number of farmers and workers were affected and displaced by the construction of the embankment, who were never fully compensated for the same. Yet they are made to pay tax and levy on the sand, silt, and any produce. It was also suggested that there has been a downfall in the productivity and fertility of the land. The farm produce is continually ruined due to sudden flooding and silting. Yet there is no support to farmers from the government for any of the losses; hence to make any claims by the government is not only unjust but completely against the notions of any welfare. 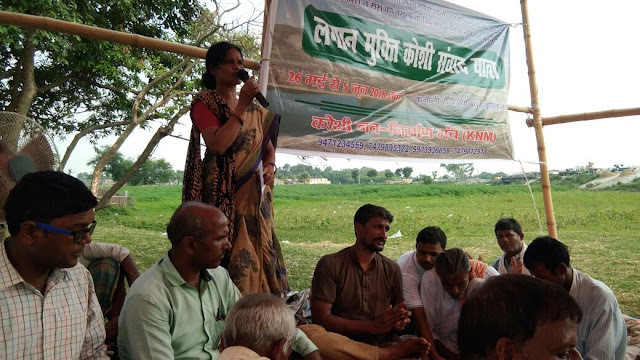 Organised by the Kosi Navnirman Manch, the yatra was concluded on the at Bairiya Manch in Supaul, where environmentalist Ranjeev said, “Along with the World Environment Day, it also happens to be the Sampoorn Kranti Divas, and the place is also historic, where the foundation of the embankment was led long back." The yatra started on May 26 from Kunali, a place situated between the embankments of the Kosi River. According to the environmentalist, the constructing an embankment on the highest silt-carrying river in the world is bound to fail and cause havoc. He lamented the fact that the displaced and affected farmers didn’t get any land or rehabilitation and rather have been burdened with continued tax and cess on the farming they do on the land when its not submerged. The people of the Kosi region have raised this question over the years, but what it requires is a sustained struggle. Mahendra Yadav, national convener of National Alliance of People’s Movements, who led the yatra, while moderating the programme, put forward a detailed strategy for future actions and united struggle. To facilitate the struggle, a 31-members' coordination committee was formed. The demands put forward included freedom from tax or cess levied on the land between the two embankments and return the ownership of their land the farmers. Dialogue, discussions, street plays and pamphleteering were organized all through the yatra. Farmers were asked to write to the Chief Minister with an appeal to abolish the tax and cess and to provide them ownership titles of the land they till. It was also suggested to pass resolutions with the demands for abolition of taxes by the Gram Sabhas and Ward Sabhas. Many Mukhiyas and members of the ward sabha supported the idea and assured passage of the same. Yatra received widespread support from the people and pledge for long term and united struggle against this injustice. 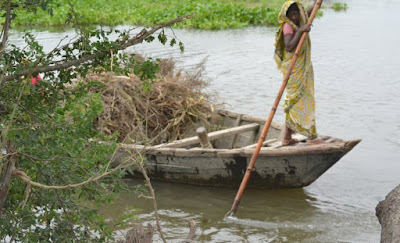 The historic Kosi embankment breach at Kusaha in 2008 hit five districts, 35 blocks, 231 Panchayats, 1067 villages, 33.97 lakh people and 8.32 lakh animals. Floodwater had spread over 4.153 laklh hectares of land of which 1.76 lakh hectare was cropped. It destroyed 2,44,128 houses, engulfed 736 villages, killed 540 people and 31,995 animals. There are 380 Indian villages within the Kosi embankments, apart from 34 Nepali villages. They were given rehabilitation on the country side of the embankments but no 'land for land' principle was adopted for them. They were supposed to live in the rehabilitation sites and cultivate their land located within the embankments. 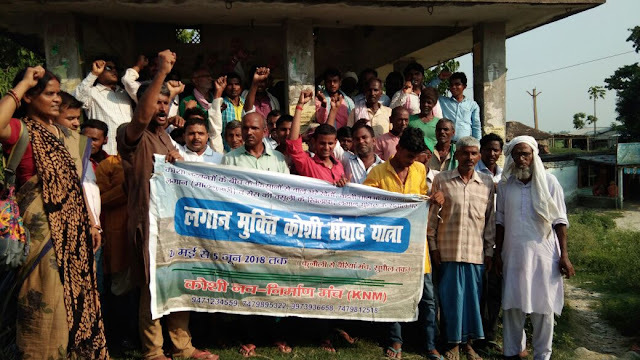 Dr. Dinesh Kumar Mishra of Barh Mukti Abhiyaan, an authority on the river network of North Bihar, says, "This was an absurd proposition and did not work. 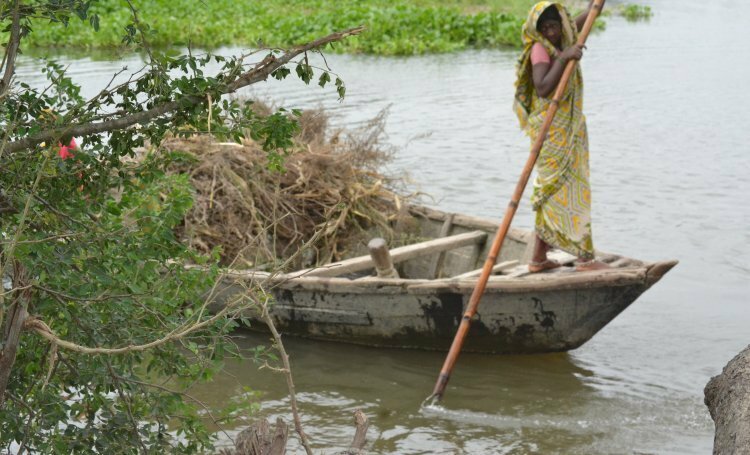 The average spacing between the two embankments of the Kosi is about 10 kilometers and that gives some idea of what distance a farmer had to travel everyday during the crop season to reach his fields and come back." "Besides", he adds, "The rehabilitation site got water logged subsequently as the free flowing rainwater that used to join the Kosi got stuck on the country side of the embankments and waterlogged most of the rehabilitation sites. The displaced farmers found it convenient to move back to their original villages and that is where most of them are today." According to him, "Their population may not be less that 1.5 million, in any case. The Kosi entrapped between the two embankments mauls these villages almost every year with no one to look after the inhabitants. Sometimes, relief is given to them and sometimes the government takes a stand that they are living in wrong place as they were given rehabilitation."